Zoe points out husband Hamish Blake parenting fail. 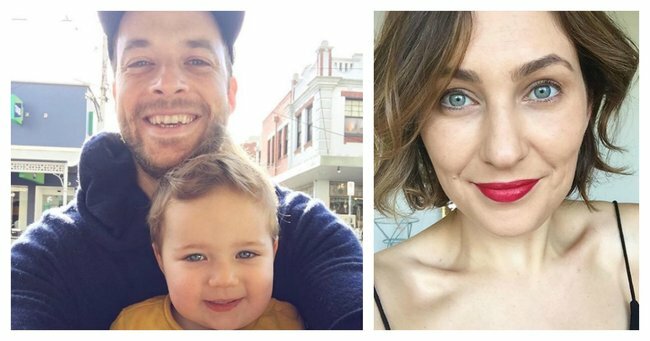 Zoe Foster Blake calls out husband Hamish Blake on his hilarious parenting fail. Dads get a hard go of it sometimes when it comes to the parenting game. While mums are generally considered as the organised ones who get things done, it’s often a stereotype that really needs to be put to bed. Dads all over the globe have been proving they’re just as responsible in this parenting game. There are dads who make the lunches, do the school drop-off and plait their daughter’s braids — all with effortless ease. But we all make mistakes sometimes. Case in point, Hamish Blake. Yesterday, Zoe Foster Blake shared a photo on Instagram after Hamish put the couple’s 2-year-old son Sonny in a pair of sandals — sandals that were clearly on the wrong feet. As if to say: “See what I have to deal with? !” Zoe decided to post a photo of it to Instagram. “Now, I’m not trying to name and shame here (it comes effortlessly) but @hamishblakeshotz put these sandals on,” she captioned the image. Now, I’m not trying to name and shame here (it comes effortlessly) but @hamishblakeshotz put these sandals on. It’s a parenting failure that we’re sure many of us would be capable of. Dressing kids can be tricky. Better luck next time, Hamish.